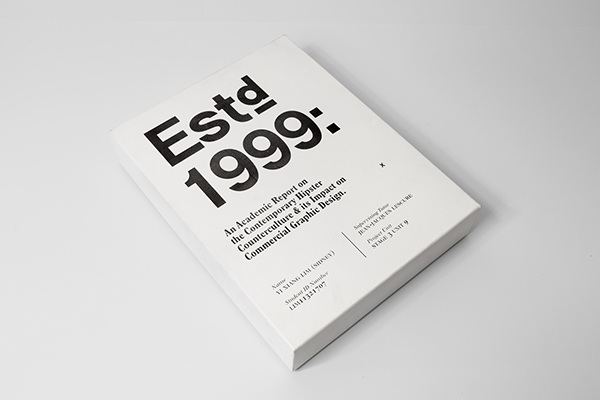 A design piece done as part of my final year dissertation project at Central Saint Martins, consisting of a book and booklet housed inside a custom made box. 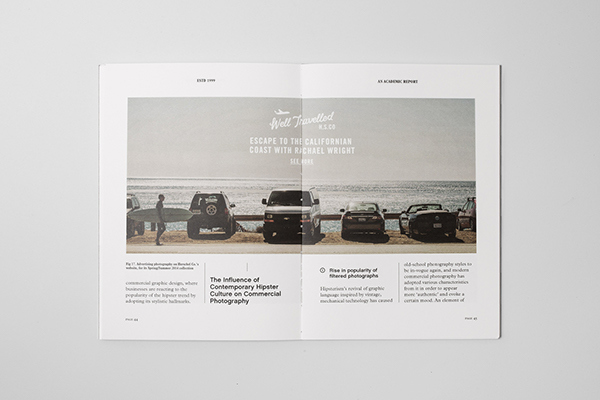 This is a university academic project, and none of the photography featured belongs to me. 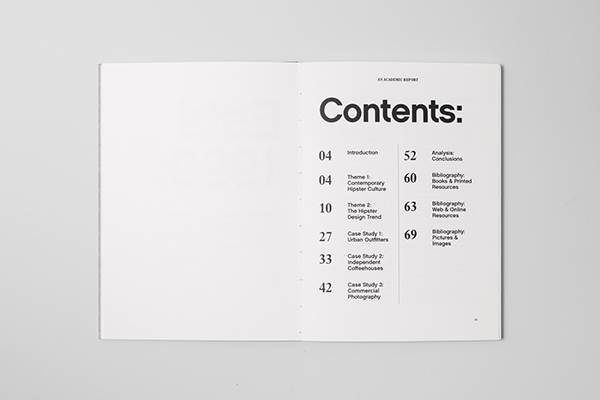 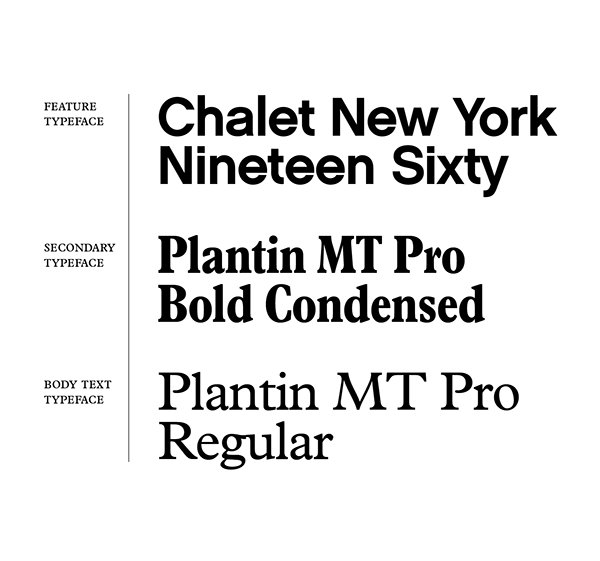 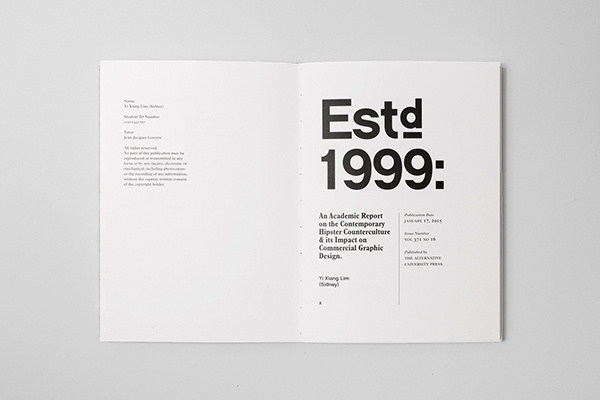 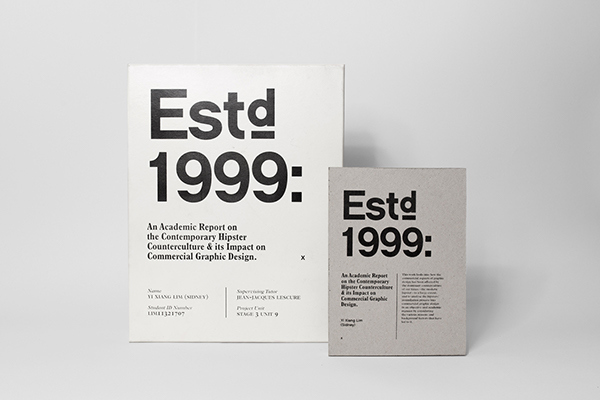 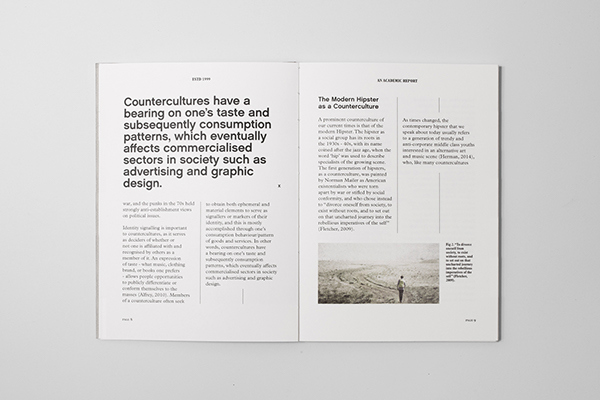 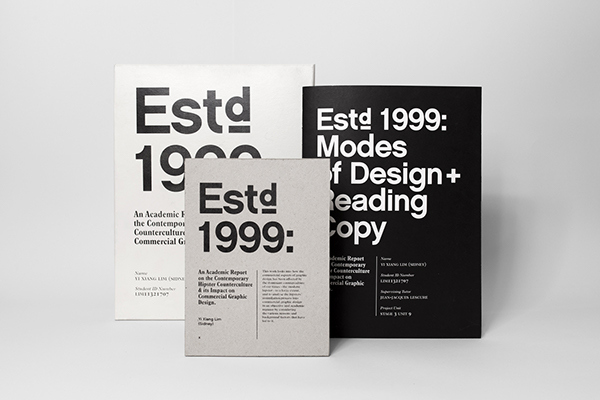 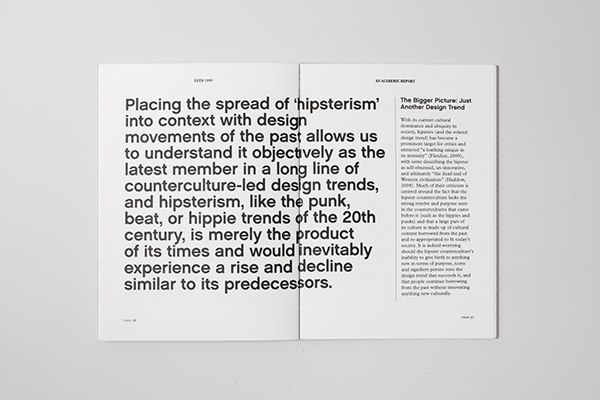 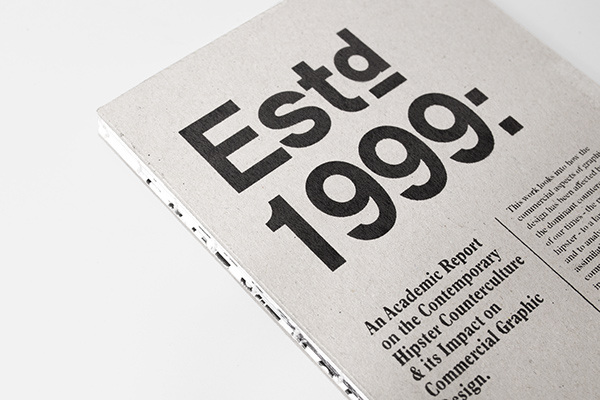 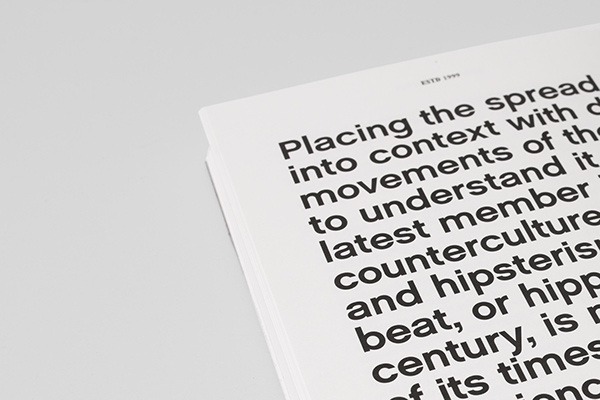 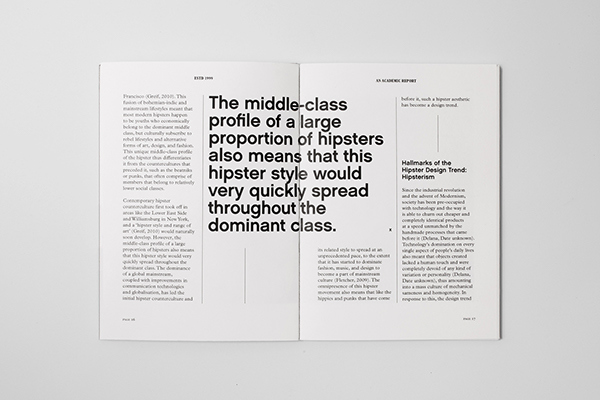 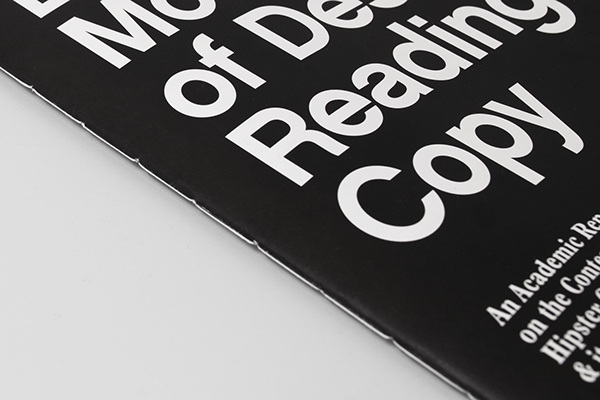 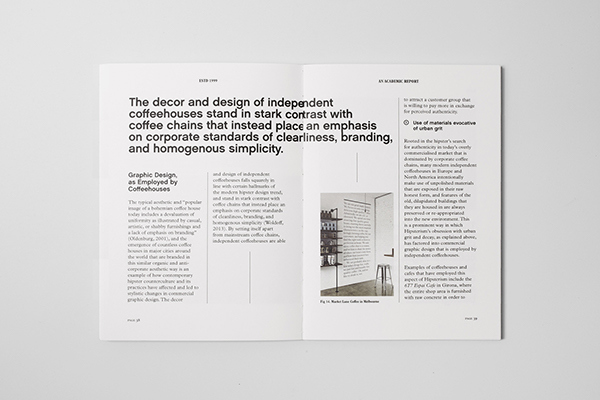 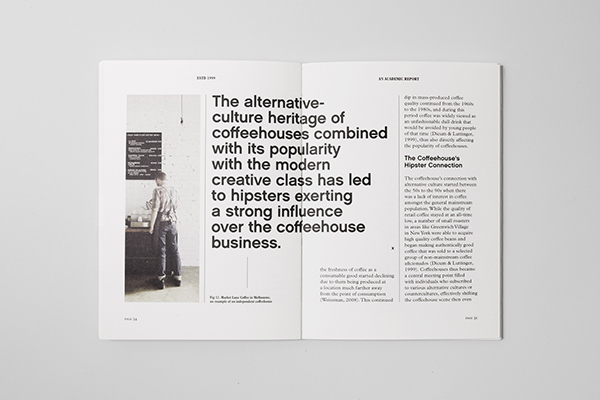 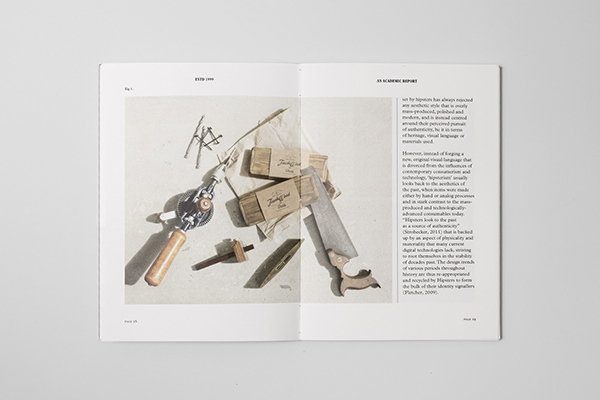 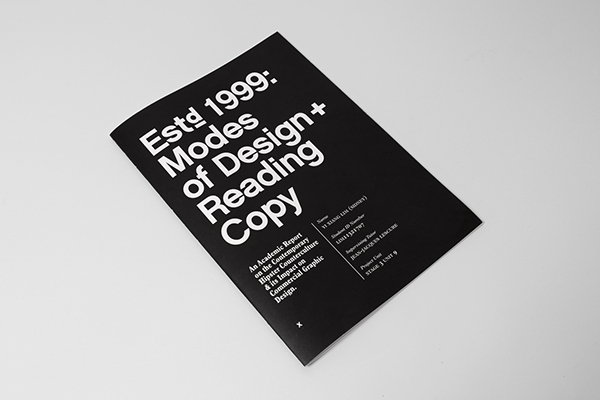 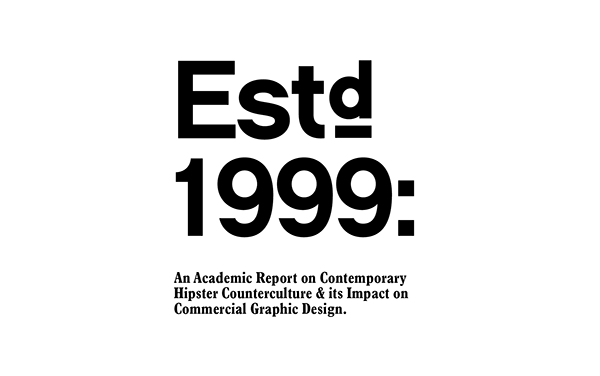 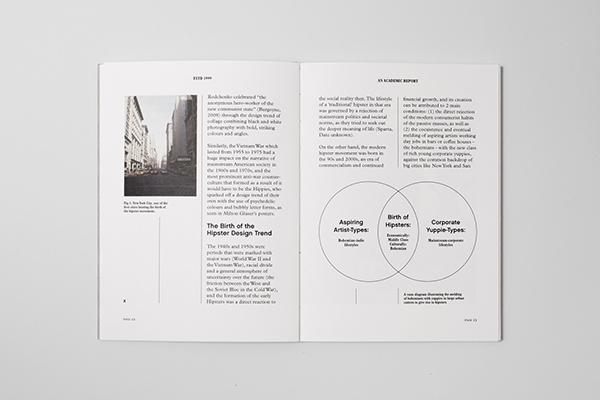 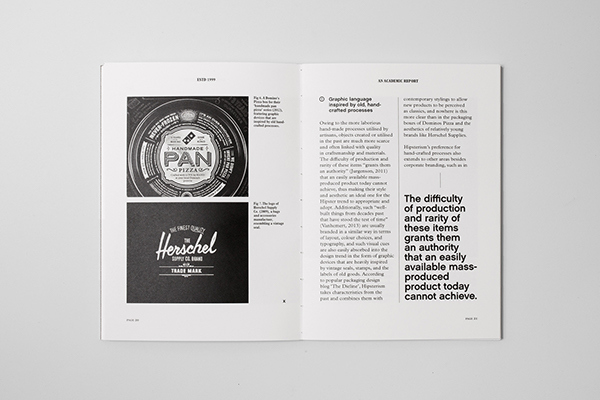 This work looks into how the commercial aspects of graphic design has been affected by the dominant counterculture of our times - the modern hipster - to a large extent, and to analyse the hipsters’ assimilation process into commercial graphic design in an objective and academic manner by considering the various reasons and background factors that have led to it. 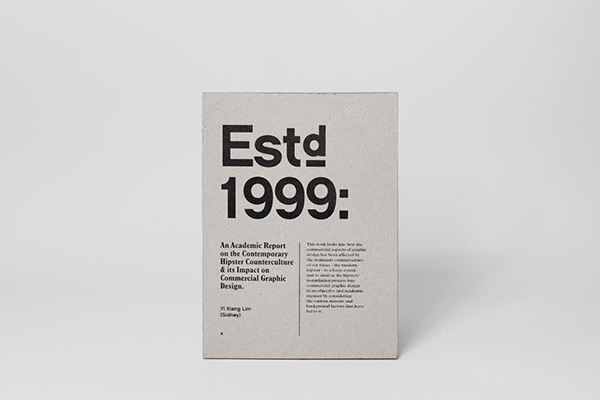 A design piece done as part of my final year dissertation project, consisting of a book and booklet housed inside a custom made box. 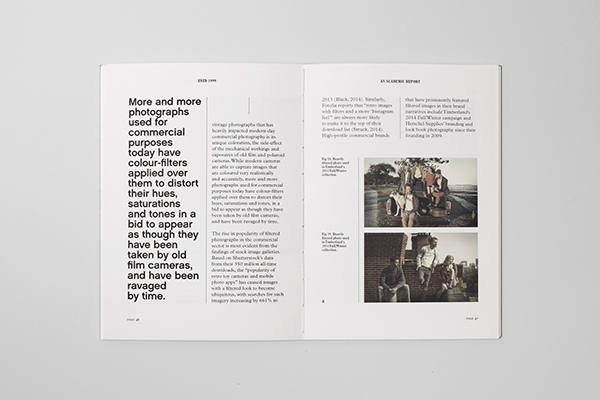 This is a university academic project, and none of the photography featured belongs to me.